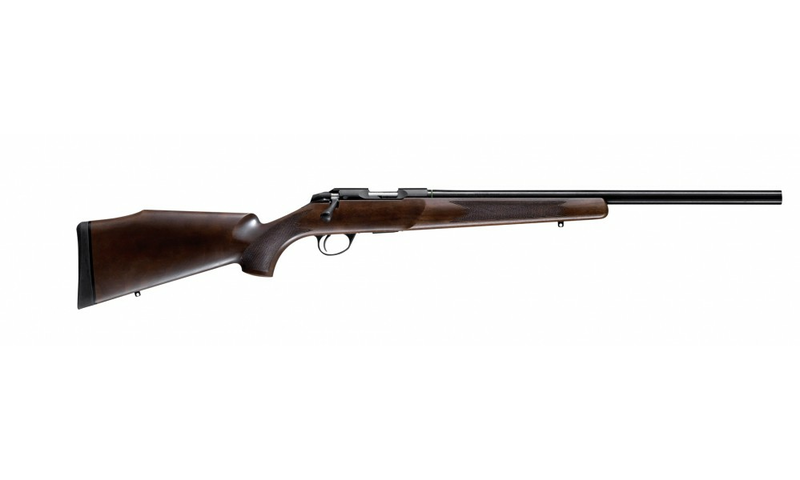 The Sako 85 Varmint is a long-range hunting rifle built to deliver pinpoint accuracy for hunting and target shooting. The heavy, free-floating barrel diminishes vibration and recoil, and makes it easy to zero in and stay on target. Selected walnut used in Varmint rifle stock enhances both comfort and accuracy, and features an extra wide, flat-bottomed beavertail fore-end and more pronounced pistol grip for better bench shooting position.